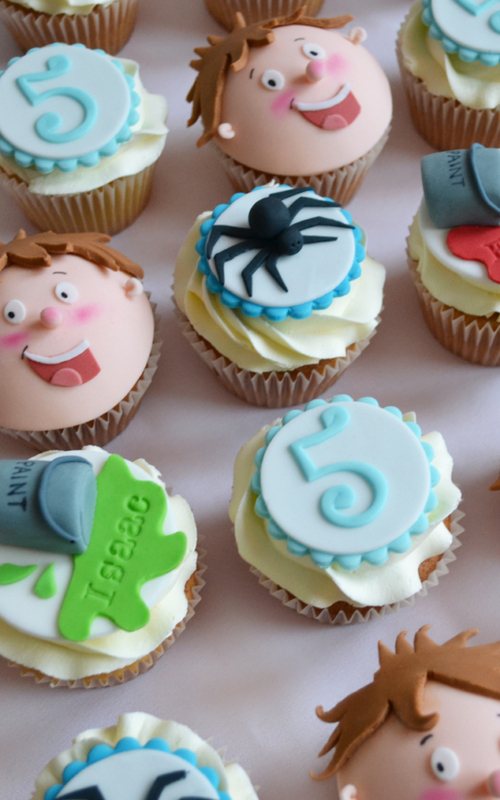 Custom decorated Horrid Henry cakes /cupcakes. 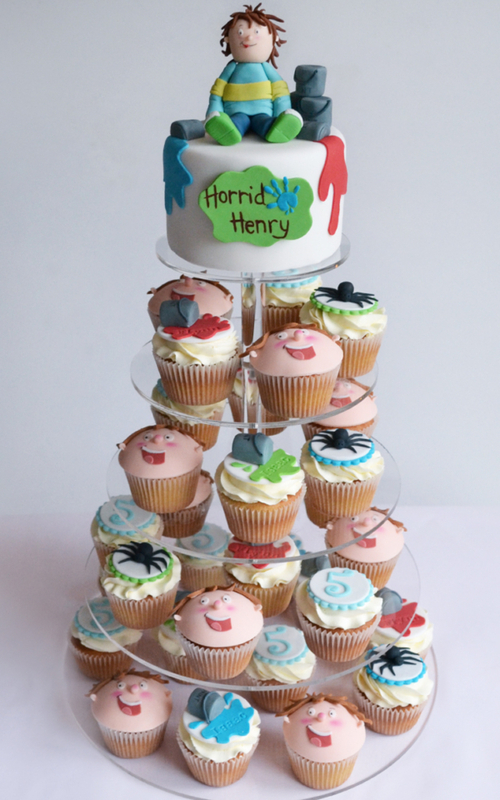 Horrid Henry cakes – The best way to display our decorated cupcakes is on a stylish cupcake tower. We pipe each cake with buttercream swirls, roses or fondant domes, and decorate with endless bespoke designs to suit your style, theme and colour pallet. As a trained artist and designer I pride myself on my attention to detail and clean presentation. I’m passionate about exceptional design, finish, and above all, taste. To take a closer look at some of our cupcake artwork view the cupcake gallery.